AMG's given its six-cylinder C-Class more power and a greater hunger for revs - does that make it better? 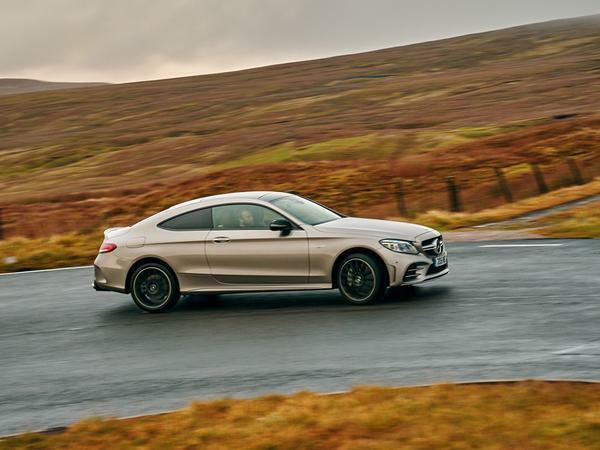 There's a lot to like about the AMG C43 coupe. Think of it as the two-door C63's slimmer, better-behaved cousin and you pretty much get the idea. 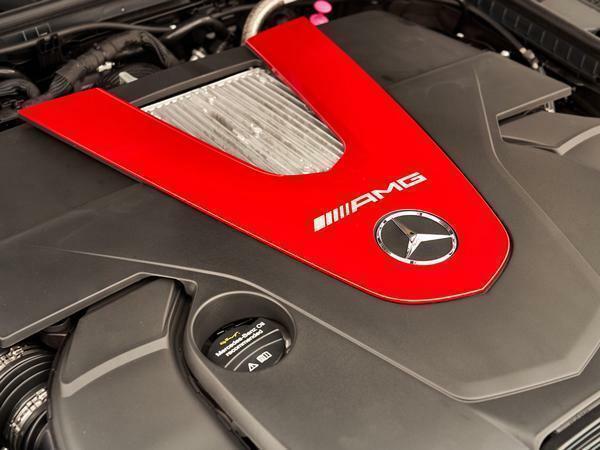 Of course, to some, that's exactly why it can never compete with the top model - the full AMG experience demands a brawny V8 to do the lugging and blistered arches to flex the muscle. 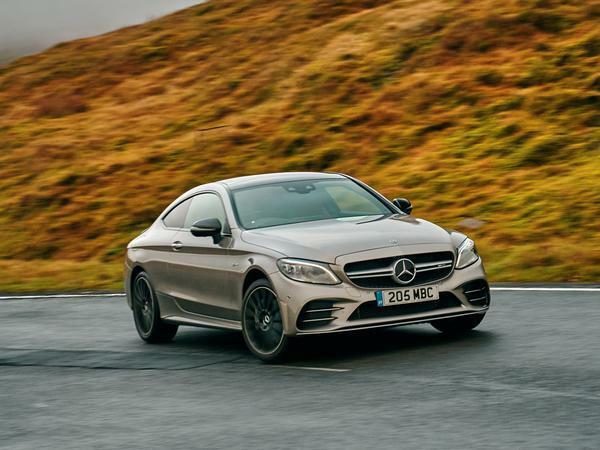 To others, though, the slender C43 has successfully ebbed its way into the AMG lineup as a less conspicuous alternative to the C63 and highly capable rival to the BMW 440i and Audi S5. Still, a little more urgency couldn't hurt. In its 2018 update, power from C43's biturbo 3.0-litre V6 has been raised by 23hp to 390hp thanks to the fitment of larger turbochargers boosting up to 1.1bar. What has the potential to really excite, however, is the updated motor's greater hunger for revs. It offers its best at 6,100rpm, 600rpm later than before, suggesting the extra horses all live close to the redline. Bon appetit. 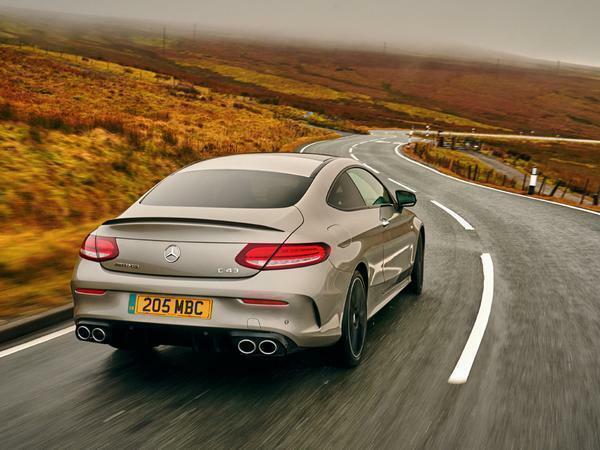 Some may still be disappointed that this added potency does not bring with it the more aggressive bodywork of the C63; the C43 continuing to look more like an AMG-Line C-Class than a red-blooded Affalterbach 'bahnstormer. 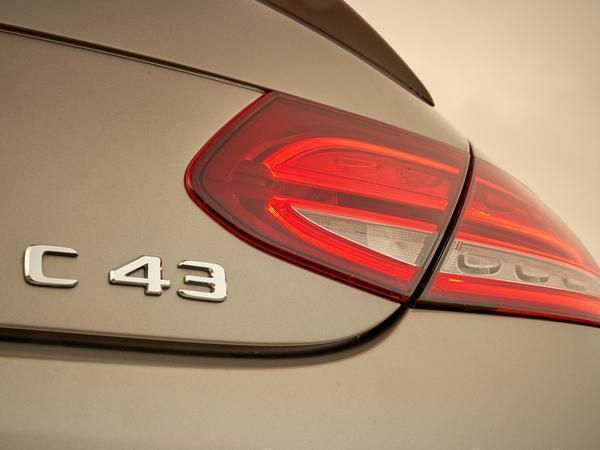 There are now more prominent quad-exit exhausts, as a nod at the firepower held beneath the bonnet, but otherwise we only have the two-door C43's sleek styling to emphasise its sporting nature. And inside? The part-Alcantara-wrapped AMG wheel certainly sets the tone and confirms that this is no regular C, and there are sporty fonts and AMG menus for the new digital instrument cluster as well - because 2018. But the rest of the cabin is more plush than racy, particularly when the optional sports seats aren't fitted, as was the case with our car. There's none of the carbon fibre trim that you'd find in a C63, for example. Although that's probably as much to give the brutish V8 some breathing space and to set a more sedate tone in the six-pot 43. Anyway, 390hp is nothing to be sniffed at. 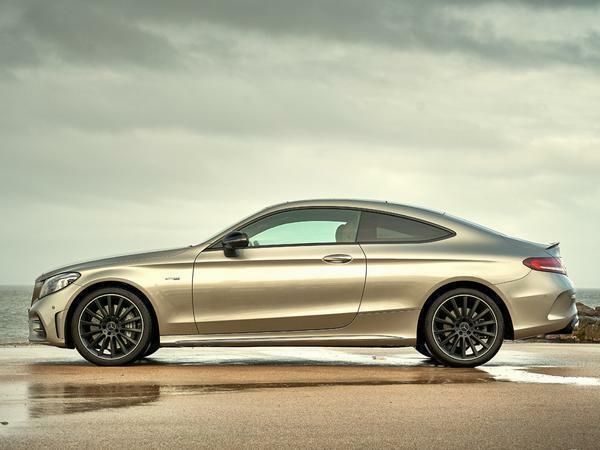 The C43's engine catches with a decidedly six-cylinder tone that nobody would confuse for the four-pot of a regular C-Class. It's still a full symphony orchestra away from offering the drama associated with a C63 clearing its throat of morning moisture, but - as before - you know from the first enthusiastic squeeze of the throttle that this thing's got pace. You're just required to twist the Dynamic Select knob to Sport or Sport+ to give it a voice to match as well. Low down the rev range, the motor feels equally as enthusiastic as before, which is no surprise given that there's an identical 384lb ft of torque to be found from 2,500 to 5,000rpm. It does well to mask the fact it's turbocharged, responding quickly to your right foot; it's never lacked gusto, just now seems keener to get spinning faster. There's also more reason to further explore beyond this elastic range of torque, and the nine-cog automatic certainly seems to think it worth doing so, holding onto gears for much longer in the sport settings - potentially a little too long - to keep the motor turning over close to its peak power output. Asking the engine to rev out certainly feels more rewarding than before, but perhaps that's as much to do with the higher pitched howl projected as you reach the top end rather than any substantial increase in acceleration. 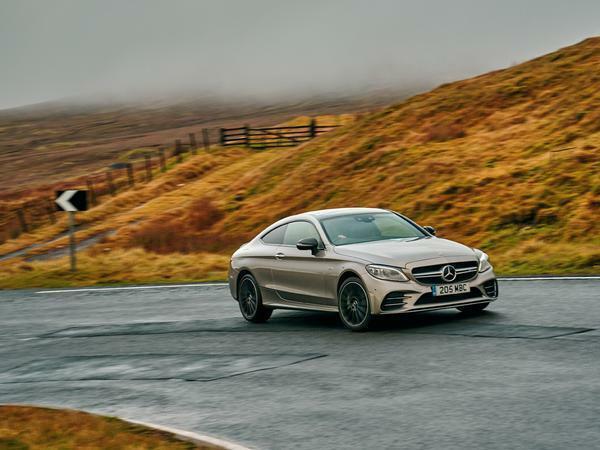 At 1,750kg the C43 has never been a featherweight, yet on our often-bumpy Surrey test route it rides as confidently as ever on adjustable suspension and feels keen to follow steering inputs. 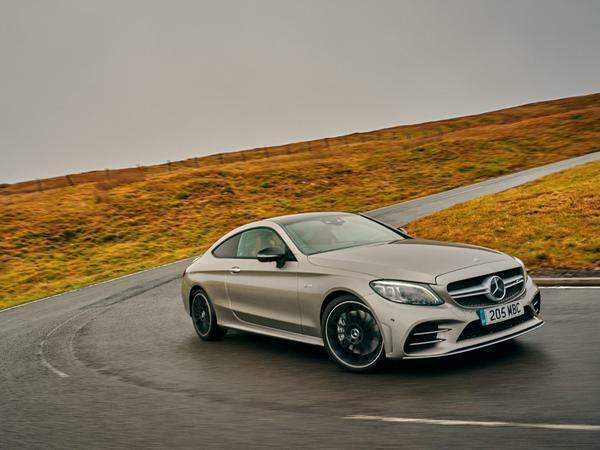 It's unquestionably more naturally agile than the C63, which comes burdened with the weight of its 4.0-litre, although, with less power and all-wheel drive, the C43's advantage ends almost immediately after its satisfyingly hunkered down initial turn in. Torque from the V6 is split 31:69 front to rear, but on a dry tarmac road, you'd have to be downright dangerous to extract anything like the rear-wheel lairiness the chassis of a 63 can offer. 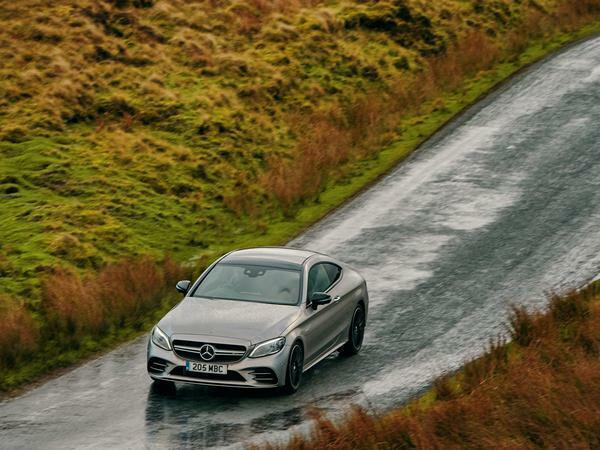 The C43 coupe just grips and grips, with only small hints of on-throttle adjustability possible in tighter bends or greasy conditions. You soon learn being naughty is not the focus of the C43, even in this more potent 2018 guise. 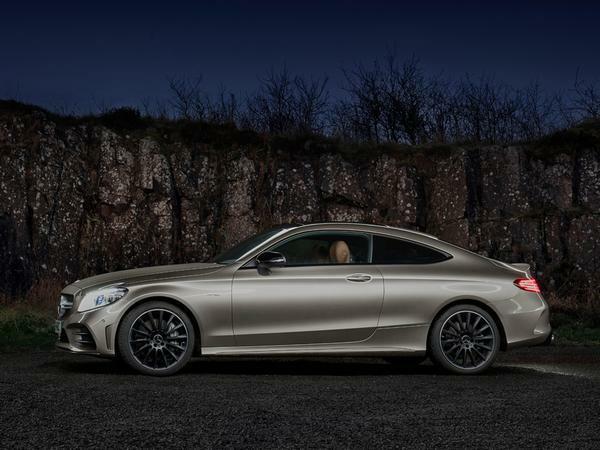 It's when you're smooth and accurate that the six-cylinder coupe rewards most, with rapid progress in a relatively undramatic fashion. 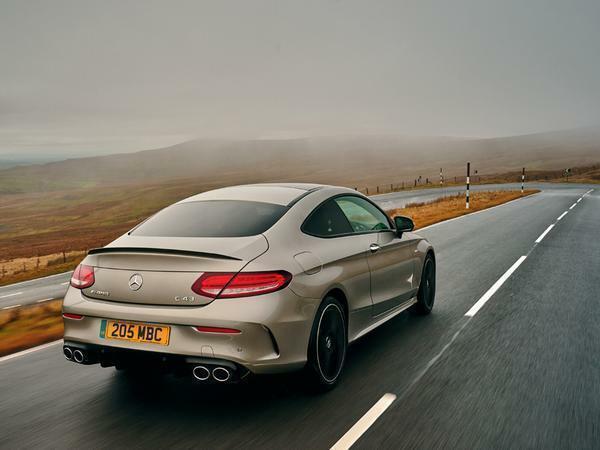 You rely on the snorts of upshifts and exhaust crackles on the overrun for giggles, never fully reaching the laugh out loud, elbows out driving style associated with the top-ranking AMG C coupe. This all makes sense, of course, because it provides enthusiast C-Class buyers with two clearly defined Affalterbach products. But it means that things stand much as they were before the updates: if you can stretch to the C63 - which, when most buyers use PCP, probably isn't as big a jump as you'd think - then bloody well do it. 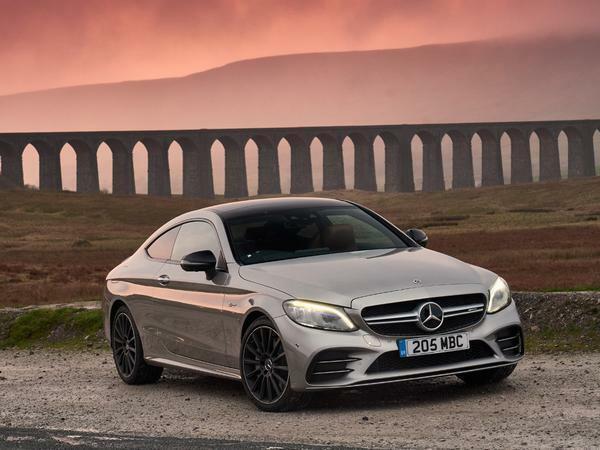 If you can't, the C43 remains one highly talented performance coupe with cross-country pace as good as any other. It's just that those who desire delicate adjustability may still be tempted towards a certain Bavarian alternative. Does this facelift still suffer from the crabbing issue that the pre-facelift did? Paragraph 3. The more the more. I'm here all week. The crabbing issues is not that bad only really noticeable at full lock when parking but I expect it does effect it as its caused by the conversion to right hand drive and effects all c class and glc that use grippy good branded tyres. On our old glc they fitted budget tyres making far less noticeable but you can notice it on my 2018 c43 saloon. Wouldn't let it stop you buying what is otherwise a great car though. For day to day I think the c43 might be better than the c63 for many as still very fsdt for road use with better mpg and 4wd, just a shame looks a bit normal models. How many times can you say C63 in an article about a C43!? I really love the new exhaust tips on these.